OLD WORLD CRAFTSMANSHIP, NEW WORLD DESIGNS. The glass in this box is absolutely beautiful. It is a black, white and clear swirled mix. It's no longer being made by the glass company. 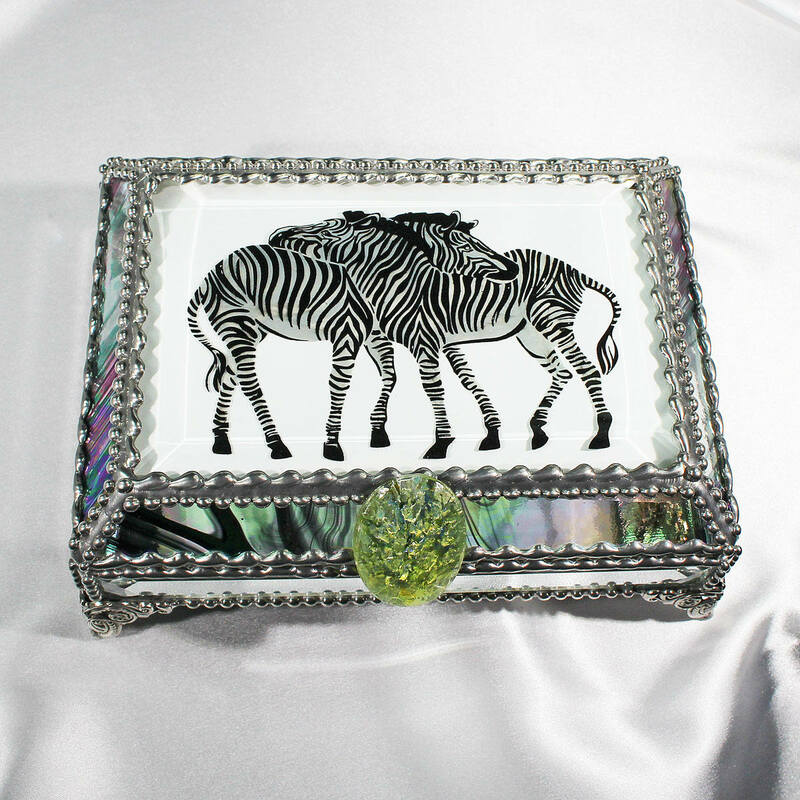 It's the perfect glass to showcase these back scratching Zebras. 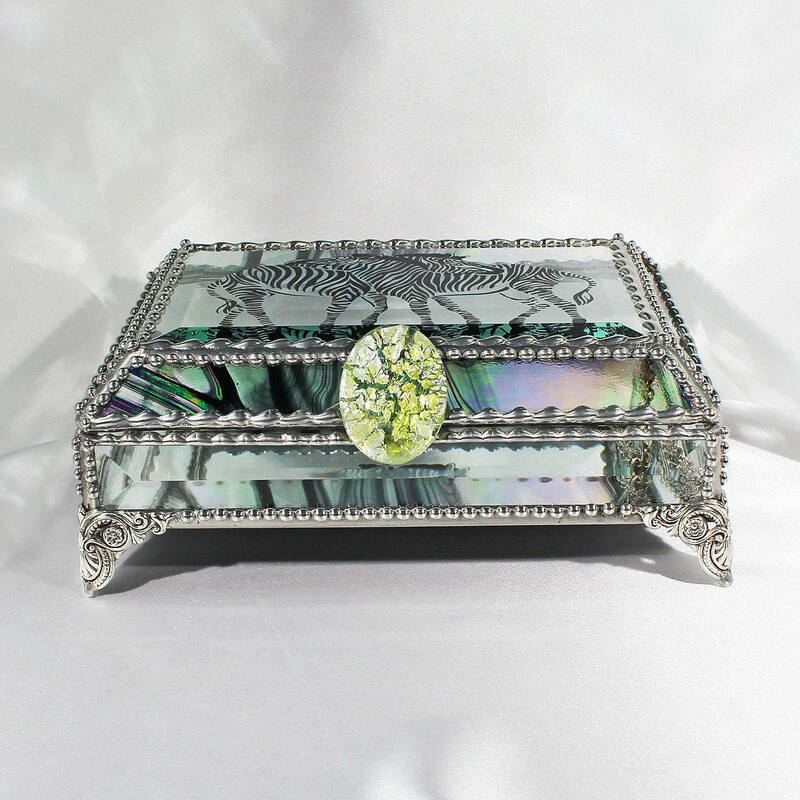 This stunning item is made from the highest grade beveled and stained glass. Extensive metal beading brings to mind the great detail of world famous Faberge eggs and uses many of the same techniques. 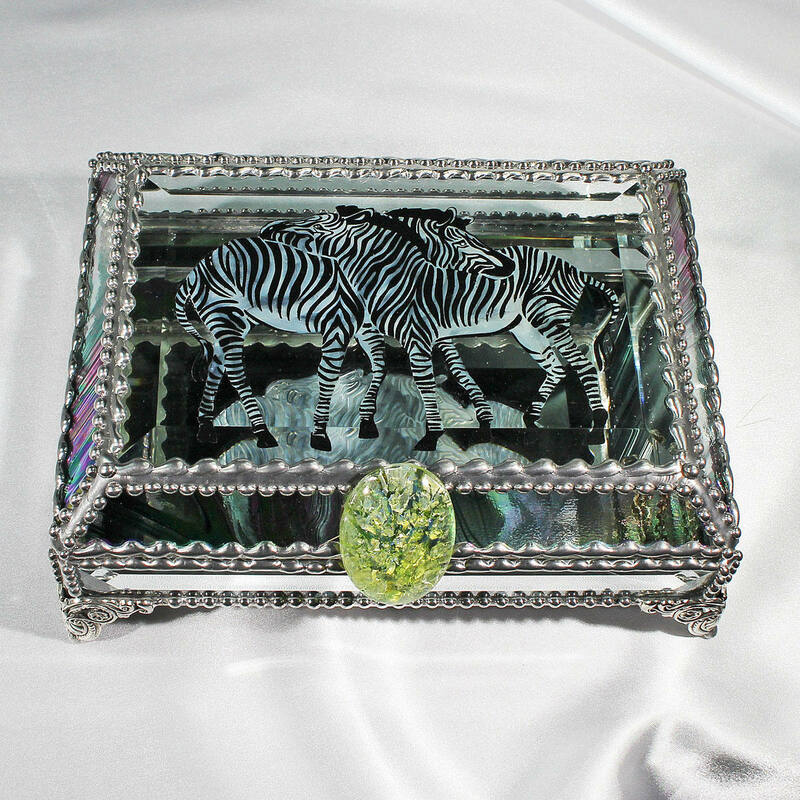 The bottom sides of the box are made with beveled glass which captures the available light and reflects it into the mirror and then back up through the slanted sides of the top lid made of stained glass. 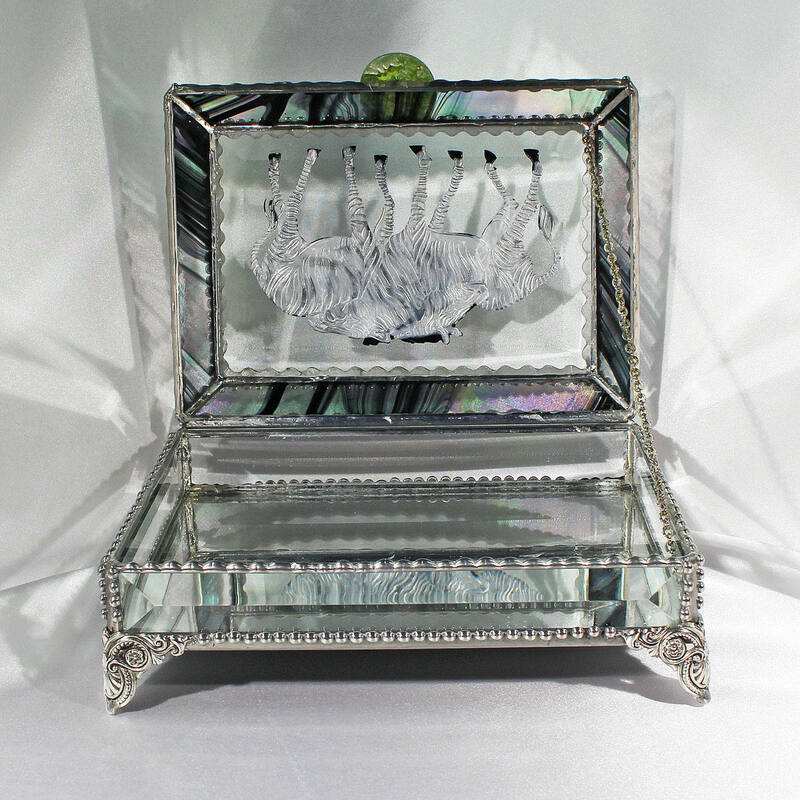 A mirror bottom illuminates the beauty of all objects placed within it. Hand made and signed by the artist. A completely unique gift that lasts a lifetime. Size 5 x 7 x 3.